I have only one regret about going natural...I big chopped. It was the worst decision for me, especially since I loved having longer hair (it was only armpit length at its longest, and I don't consider that long...it's not up for debate, lol*). My reasoning for big chopping, as opposed to transitioning, was that if I found transitioning difficult, I may relax my hair again, while if I was all natural, I wouldn't even consider relaxing my hair. While this held true, I still think I should've transitioned because until I got to bra strap length, I wasn't really happy with the length of my hair. So if you're on the fence about big chopping, here are 9 reasons to hold off. 1. You don't like your hair short. This one is the most obvious, but if you don't like short hair, don't big chop. 2. You're not sure if you can grow your hair long. 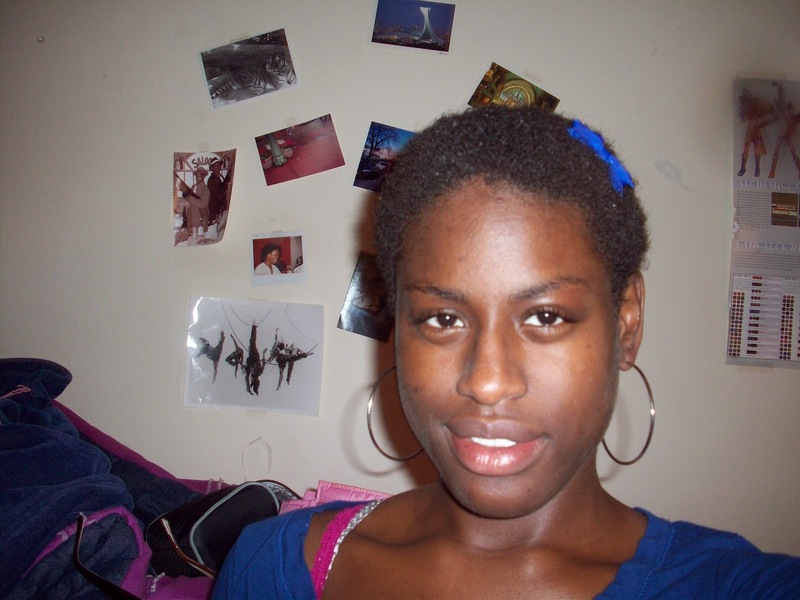 ** If you want to go natural to see if your hair can grow long hair, do not big chop. Big chopping will only make this process longer, and you're going to have to learn how to take care of your natural hair and retain length. Instead, make a short term length goal (so if you're shoulder length, work up to armpit length) and incorporate healthy hair practices into your regimen. This will ensure you that your hair can grow and you're getting a jump start into learning how to care for your hair. 3. You're undecided about going natural. If you haven't made an official decision about going natural, don't just jump in the deep end. Wait it out while doing research on natural hair to help you decide. 4. You think it's the only way to go natural. Transitioning is an option. 5. You think it won't take long for your hair to grow back. I thought this too, and trust me, it takes awhile. You will not go from a low fade to waist length in a year, so if you think your hair will grow back fast, don't big chop. You will be disappointed. 6. You don't like drastic changes. Another self-explanatory one, but going from some hair to no hair is pretty drastic. Just transition. 7. Your friends and/or family are pressuring you. You need to big chop when you're ready. If you do it any sooner, you may regret your decision. If you are getting outside pressure from friends and/or family, explain to them why you have made the decision not to big chop and that this is the best decision for you. 8. You haven't done any research on natural hair. Regardless of if you big chop or transition, do your research so that you can be prepared. 9. You plan on relaxing again. Unless you're a chameleon and you change your hairstyle all the time, don't big chop if you plan to go back to relaxers. There's no point in starting over (unless your hair is that damaged). Assess your hair, cut away the damaged ends, incorporate healthy hair practices into your regimen, and start stretching your relaxers to 10-12 weeks to prevent over processing your hair. *I often get challenged for thinking that shoulder length hair is short. To me, it's short and long is, at least, bra strap length. There is nothing that will convince me otherwise. **Everyone can grow long hair (with long being 12 inches worth of hair, which, for the average person, is about 2 years worth of hair growth), it's just a matter of being able to retain length. If you have never had hair longer than shoulder length, trust me, your regimen is the problem, not your genes. Transitioning right now. You just reminded me of why I started. 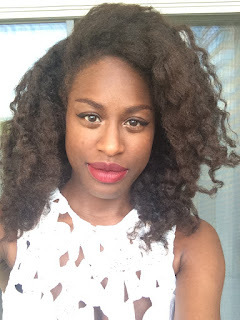 3 New Hair Products in My Natural Hair Regimen!